During December, the cold weather tends to bring lots of unwanted insecurities like dry and chapped skin or blemishes. 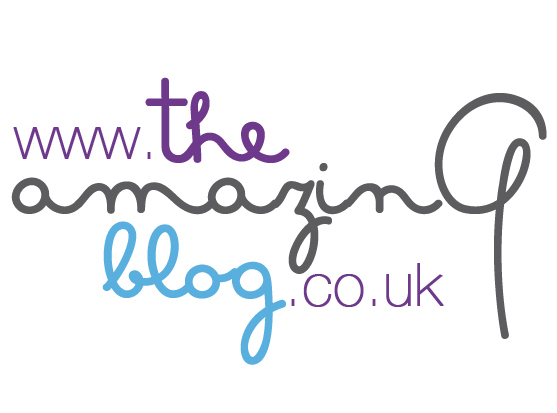 The Amazing Blog has been testing some products to help better the condition of our skin a little. We looked at Anne De Jeunesse, Senzimi, Pure Chimp, Amie and Spa Fabulous. If you’re a loyal follower of this blog then you will probably know that we like to products with ‘multifunctional’ claims to see if there really is anything that can do everything. The Anne De Jeunesse Multifunction Facial Cream claims to reverse the signs of aging with 11 exclusive properties. At £26 it would be a miracle if we could turn back our image clock and look a bit younger. The smell and texture of the cream are definitely great features of this cream. It glides onto the skin lightly and with ease and doesn’t leave an unwanted layer sitting there. You can feel that it really is a good product for sensitive skin, there are no rough qualities to cause irritation and the application is very moisturising and gentle . I did find it very calming for the areas I usually suffer from blemishes so would recommend it for that. You can find the cream on gorgeous shop, or their website here. Everyone loves a cleanser as it’s an essential part of our cleaning routine on a daily basis. There are however, plenty of them out there which can make it hard to tell which really the best is for you. Senzimi have the Sensitive Cleanser for irritated, dry skin. It’s made with natural ingredients tailored to tackle problems which arise when you’re more reactive to products. The smell is not too dissimilar to clay, which to me is a good thing because clay has a good reputation in the beauty industry. The compact formula makes it look more like a moisturiser as it’s thick and builds a layer that sits on your skin. Although this may not sound like what you want from a cleanser, it does work the same way and leaves you with hydrated skin throughout the day, even after applying your make-up. It’s £13.99 and can be found here. Pure Chimp Natural Super Cream is the number one cream in world containing hemp seed wax and blends omega 3 & 6 to nourish and repair your skin. A team member at The Amazing Blog applied the cream to some dry skin she had on her hand as soon as it arrived in the office, after using it a couple of times saw the patch disappear. It may not work as well for everyone but it was a definite success this time. Being able to use a product on all parts of your body including your face is always an attractive selling point for creams, and often means it’s good with sensitive skin. The smell is natural and not overpowering, and the ingredients leave a subtle shine, which shows us that it’s working on those dry patches. It is £10 for a 60ml pot and £15 for a 120ml pot, and you can get it from here. Keeping moisturised is very important throughout the year, but especially so in these icier months as we become a bit chapped in places. The Amie Mattifying Moisturiser is oil free which means no extra build up if you have already oily skin. You only need a small amount as it's quite hydrating, this also means the bottle will last you a good amount of time. This moisturiser also helps make-up sit better throughout the day which is a pleasant little bonus. The Amie Purifying Facial Wash has a creamy consistency and is soap free. We hear a lot about soap being quite irritable for your skin so if you’re worried about that then this facial wash is worth trying out. I found my skin cleared up quite well after using the wash, I would also recommend it for teenagers if you are suffering from outbreaks and want something gentle to calm it down. The Moisturiser is £5.95 and the Facial Wash is £4.95 and found on their website. The Spa Fabulous Little Pot of Heaven name gives it a lot to live up to. This is a gorgeous smelling blend of organic ingredients which has natural sunscreen protectors against UV rays. It’s good for keeping in your bag for moisturising emergencies. I sometimes get dry skin patches on my forehead so carry this around to make them vanish as soon as I notice them. The cream was a recent runner up in the Beauty Shortlist Awards and received a special mention. Its benefits include Q10 to combat wrinkles, Pure Rose to moisturise, Rosehip Oil to heal imperfections, and Liquorice to balance pigmentation. There are also many other ingredients in the formula to help target specific skin issues. You can buy a 50ml pot for £55.00 here.